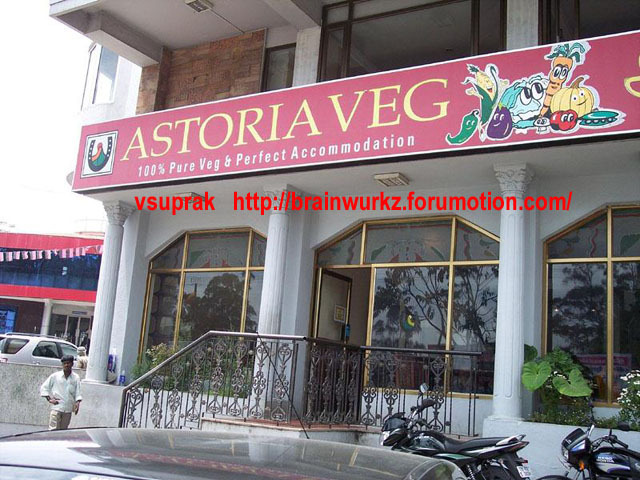 Astoria at Kodaikanal finds place in many websites talking about tourism in Kodaikanal. It is one of the recommended places and stands upto its repute. The menu comprises about 12 varieties of Dosas, other regulars like idli, vada, upma, etc. You have South Indian Meals, Noth Indian Dishes, and a reasonable spread of Chinese stuff too. No matter what you order, be prepared to see a few curry leaves and south indian touch to the items made here. The place is located near Kodai Bus Stand and one cannot actually miss this place. Visit Astoria and you will not be disappointed. In a new place where getting good food is a concern, Astoria is a choice you cannot go wrong with.